Camp Kindness is designed to show kids that kindness does indeed exist in the world today. Camp Kindness, in collaboration with Maksym’s Giving Tree Foundation, is coming to Dog Ears Bookstore & Café on six upcoming Saturdays from Feb. 2 to March 9. The nonprofit community bookstore is located at 688 Abbott Road in South Buffalo. Camp hours will be approximately 9:30 to 11 a.m. Designed for children ages 7 to 12, camp activities may include the following: Sewing a patchwork kindness T-shirt quilt, making blankets that will be donated to area homeless shelters, meeting with guests from Journey’s End Refugee Services, creating friendship bracelets and cards with local Girl Scouts, reading to therapy dogs from Paws for Love, and baking bread with Chet Fery of Bread Time Stories and More. On the last day of this free camp, all children will receive a hard cover copy of The Giving Tree book. Snacks will also be provided during all camp sessions. To register for Camp Kindness, please visit Dog Ears Bookstore & Café in person or call 823-2665. Registration is limited. 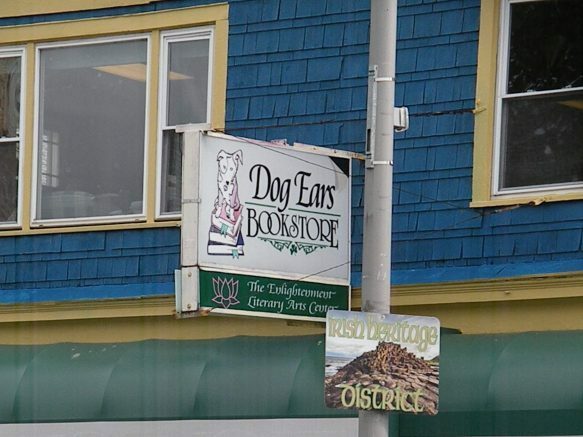 Be the first to comment on "Dog Ears Bookstore to offer Camp Kindness for children"